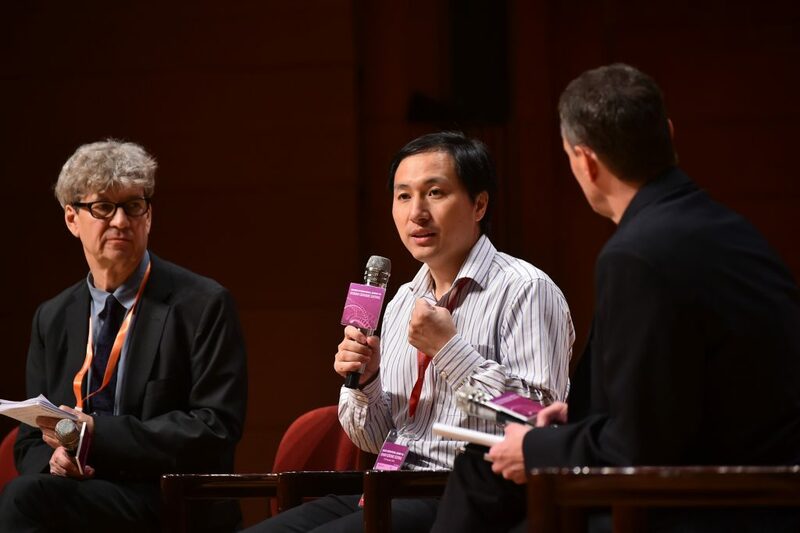 When the Chinese scientist He Jiankui, PhD, finally appeared at the International Summit on Human Genome Editing in Hong Kong, he wasn’t greeted by thunderous applause. Instead, he was confronted by the staccato clamor of a hundred press camera shutters. History was about to be made. Wearing an open-neck shirt and carrying a tan leather briefcase, the 34-year-old He crossed the stage looking like a commuter hurrying to catch the Star ferry. There was some token applause as He reached the podium, the audience heeding the warning of moderator Robin Lovell-Badge, PhD: show some respect and restraint, or oblige the conference organizers to stop the session. He shook hands with Lovell-Badge, pulled out his notes from his briefcase, and turned to face the audience. Over the internet, as many as 1.8 million people were watching the livestream. This was not the setting He, of the Southern University of Science and Technology in Shenzhen, had imagined when he dreamed of editing the genome of a human embryo. Although prescheduled to appear at the summit, He had not divulged any clinical results with the conference organizers. His team had submitted a manuscript and was intent on keeping the work confidential until it was published in a leading medical journal. To orchestrate the maximum media coverage when the time came, He had granted exclusive interviews to a reporter from the Associated Press. by biotech companies such as Editas Medicine, CRISPR Therapeutics, and Intellia Therapeutics. But those companies (and others) are focusing on somatic gene surgery—using CRISPR-Cas9 as well as other editing technologies (zinc finger nucleases and transcription activator-like effector nucleases)—to treat individual patients for various diseases. By contrast, He was treating the DNA of human embryos, changing the genes not just of a particular tissue in a single patient but potentially every cell in the patient and for future generations. In so doing, He ignored the scientific consensus—voiced through conferences and literally dozens of official reports over the past few years—that the world was not yet ready for germline editing. Shortly after the MIT Technology Review bombshell, the Associated Press elected to release its story reporting that He’s embryo editing had culminated in the birth of “safe and healthy” twin girls a few weeks earlier (November 2018). He’s choice of gene target was surprising: not a fatal hereditary disease like Huntington’s but a gene that encodes the CCR5 receptor that controls HIV infection. In broken English, He described his rationale and preclinical studies in mice and monkeys. A small percentage of humans carry a 32-basepair deletion in the CCR5 gene that deprives HIV of its cellular foothold, rendering those people immune to infection (although there is evidence that the risk of West Nile disease is increased). He had initially recruited eight couples in which the man was HIV positive. He did not show any pictures or reveal any details about the twins, only revealing their names, Lulu and Nana, leading some observers to question whether the entire episode might be a giant hoax. But for those willing to take He’s claims at face value, their implications are staggering. The response was fast and furious: gene editing experts and commentators used phrases like “disgusting” and “abhorrent” to describe a litany of concerns, including secrecy, informed consent, medical necessity, and much more. According to the South China Morning Post, He was born in Hunan province in southern China to a farming family. He shone academically in school: after graduating with a degree in physics in 2006, He joined a PhD program at Rice University. He later undertook a postdoc at Stanford University in the lab of renowned biophysicist Stephen Quake, PhD, co-founder of Fluidigm and Helicos. He published a paper in Science Translational Medicine in 2012 on immunotherapy. Returning to his homeland, He joined the faculty of a private university in Shenzhen, the Southern University of Science and Technology, receiving millions of dollars’ worth of government grants. He continued developing the single-molecule sequencing technology Quake had pioneered and helped launch two companies, Direct Genomics, which provides a single-molecule sequencing platform, and Vienomics, which develops liquid biopsy tests. 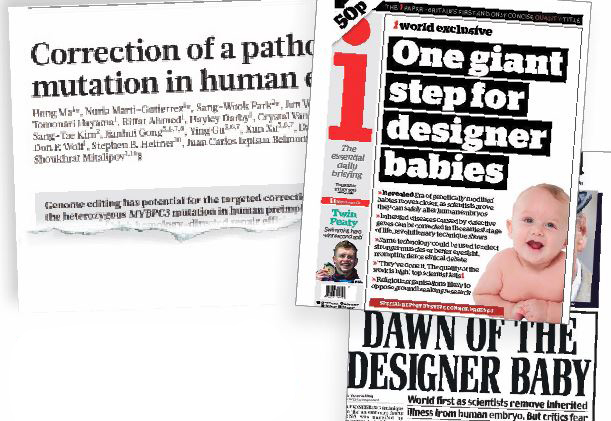 “Designer baby” headlines greeted the 2017 report in Nature of the first successful gene editing experiment in human embryos conducted by an American group. But about two years ago, He set his sights on germline editing. He submitted a hospital ethics statement in March 2017 citing a National Academies of Sciences report justifying germline editing for CCR5.3 He confided in a small group of American scientists—Mark DeWitt, PhD, a scientist at the Innovative Genomics Institute, and father-and-son bioethicists William Hurlbut, MD, and Ben Hurlbut, PhD, of Stanford and Arizona State, respectively—but conducted his work in great secrecy. The most intense criticisms for He centered on his choice of HIV transmission as an “unmet medical need,” the strategy for editing the CCR5 gene, the informed consent process, and the intense secrecy throughout the project. Although HIV is a common and serious public health threat in China, many experts say there are standard procedures to prevent HIV transmission that do not necessitate embryo gene editing. David Liu, PhD, of the Howard Hughes Medical Institute and the Broad Institute, and the co-founder of Editas Medicine, challenged He on medical necessity grounds. “You already do sperm washing to generate uninfected embryos that could give rise to uninfected babies,” Liu said. “What was the unmet medical need?” He’s justification was to stress the public health menace of HIV affecting millions of patients rather than to focus on an individual family. A few eminent scientists, however, argued that concerns raised by He’s work needn’t culminate in overreaction. “Just because the first steps [in germline editing] are missteps doesn’t mean we shouldn’t step back, restart, and think about plausible and responsible pathways for clinical translation,” said George Daley, MD, PhD, dean of Harvard Medical School. 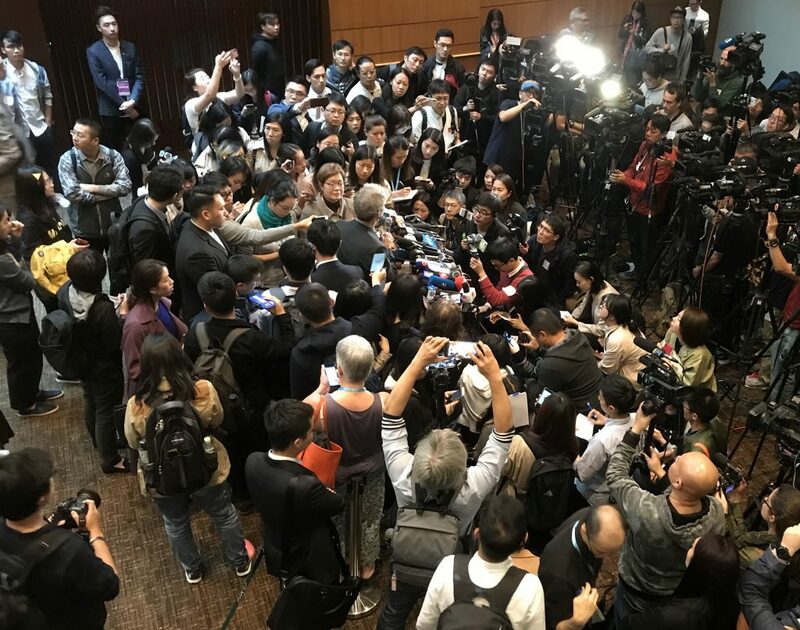 The day after He’s appearance, summit attendees in Hong Kong were still trying to process what had happened. Most of the reporters had left along with He, who returned to Shenzhen to begin cooperating with Chinese authorities. 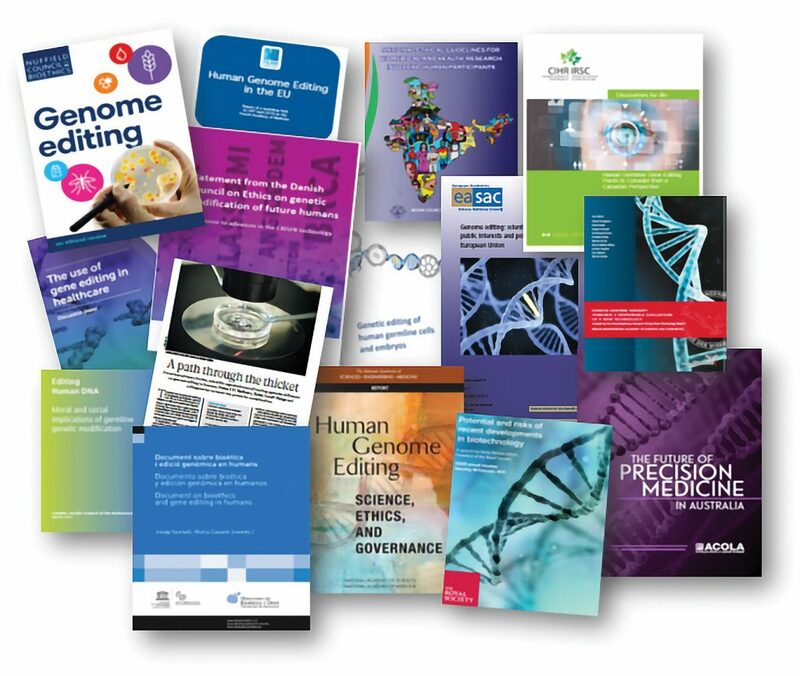 “The scientific understanding and technical requirements for clinical practice remain too uncertain and the risks too great to permit clinical trials of germline editing at this time,” the statement stressed. Germline editing carries major risks: editing in early embryos may not carry through to every cell. Moreover, on- or off-target effects could produce unanticipated effects for not just the patient but for future generations. But the committee clung to the possibility that germline editing could become acceptable in the future. There would need to be strict independent oversight, a compelling medical need, plans for long-term patient follow-up, and attention to societal effects. He returned to Shenzhen after his appearance in Hong Kong, where he was expected to cooperate with an official investigation into his research. What might He and the Chinese authorities have planned to discuss? One possibility, suggested by Baltimore, was the issue of replication. As it is unclear if any reputable journal will be keen to publish He’s article, one option would be to disseminate his work by posting his manuscript in a preprint repository such as bioRxiv. He said he’d previously been advised not to, but Lovell-Badge urged him to reconsider. He’s actions have cast a shadow over the gene editing field. But there was a glimmer of good news following the Hong Kong summit: Editas Medicine received an IND (Investigational New Drug) award from the FDA to launch a somatic gene therapy trial in a rare form of hereditary blindness. The CRISPR biotech industry hopes that the germline saga will not derail the promising therapies that are on the brink of entering the clinic. The next International Summit on Human Genome Editing will be held in London, probably in 2021. Organizers will surely be hoping by then that the field has recovered from the Shenzhen shockwaves. 1. Scientist who claims to have made gene-edited babies speaks in Hong Kong. November 27, 2018. 2. Rana P et al. China, Unhampered by Rules, Races Ahead in Gene-Editing Trials. Wall Street Journal. January 21, 2018. 3. Regalado A. Rogue Chinese CRISPR scientist cited US report as his green light. MIT Technology Review. November 27, 2018. 4. Lash, A. 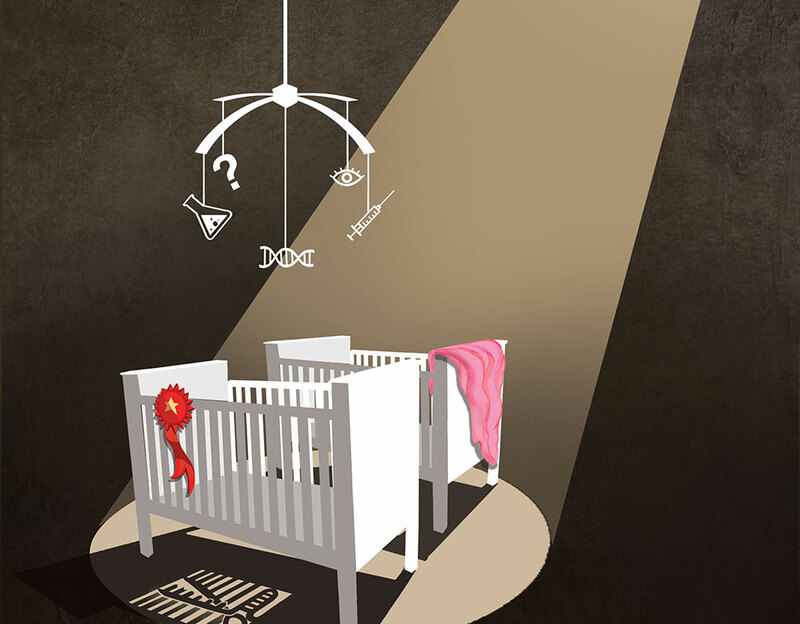 “JK Told Me He Was Planning This”: A CRISPR Baby Q&A with Matt Porteus. Xconomy National. December 4, 2018. 5. Yong E. The CRISPR Baby Scandal Gets Worse by the Day. The Atlantic. December 3, 2018. 6. Lowe D. After Such Knowledge. In the Pipeline (a Science blog). November 28, 2018. 7. Cohen J. ‘I feel an obligation to be balanced.’ Noted biologist comes to defense of gene editing babies. Science. November 28, 2018. 8. 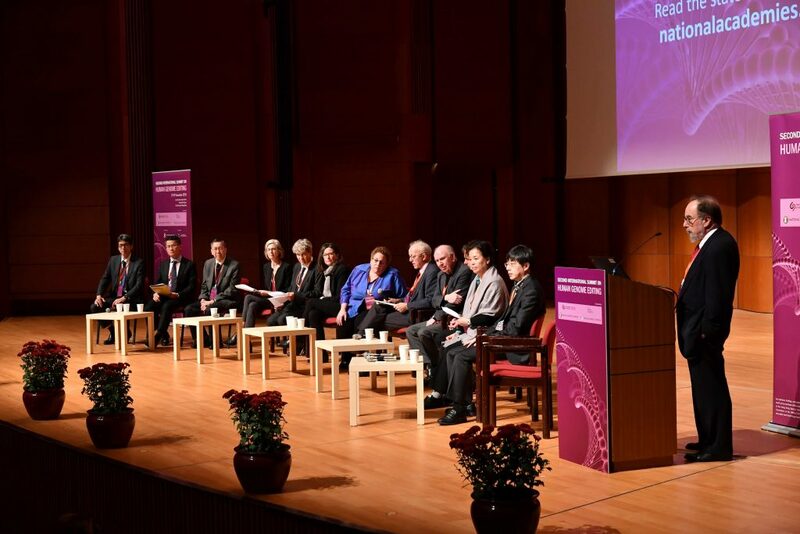 Statement by the Organizing Committee of the Second International Summit on Human Genome Editing. November 29, 2018. 9. Collins FS. Statement on Claim of First Gene-Edited Babies by Chinese Researcher. November 28, 2018. 10. Usdin S. ‘Tepid’ Response to CRISPR Embryo Editing Could Lead to Regulations, Gottlieb Says. Biocentury. November 28, 2018.